ConnectedYou (CY), the global IoT service orchestrator and Valid, the innovative eSIM solutions provider today announced their partnership to deliver seamless Connectivity Enablement Service to Device Makers and IoT Solution Providers. This partnership delivers a seamless cellular connectivity service based on eSIM technology, making connectivity and subscription management easier for enterprises offering connected services all over the world for a variety of use cases such as smart city, smart farming, logistics, asset tracking, utilities and various other sectors. The partnership leverages CY’s unique IoT Service Platform based on 4 fundamental pillars of Devices, Connectivity, Cloud Services and Value Added Services with a GSMA-compliant Valid’s mioSIM® embedded SIM, a.k.a. eUICC. Valid’s eSIM solution allows CY´s customers to remotely download SIM profiles over the air from a selection of pre-integrated Mobile Network Operators (MNO). This eases the remote provisioning process as well as selection of most suitable Mobile Network Operator without the need of changing SIM physically on the devices for a future proof delivery of IoT solutions. The companies have successfully tested and demonstrated MNO profiles swap procedure worldwide to allow a more reliable connectivity by improving connection speed, lowering latency while reducing costs significantly for large amounts of data transfer with an insurance of future proofing IoT solutions deployed today. CY’s IoT service allows enterprises to make selection of MNOs from CY’s ecosystem and enables choices of connectivity in real time, at-a-click. “The relationship between our companies strengthens CY’s value proposition and simplifies connectivity issues for enterprises building connected products and solutions. Valid’s eSIM solution powered with CY’s IoT service platform is a first of its kind IoT service bringing a change to the stagnating IoT roll-outs and serves as a catalyst allowing connected Device Makers and IoT Solution Providers to have a more predictable connectivity cost plan as well as reliable connectivity offering today with ability to improve based on changing needs in the future in real time. This is a major step towards our mission to truly democratize IoT by delivering a future proof orchestration for all IoT needs.”, said Parag Mittal, CEO of ConnectedYou. “It is a real pleasure for Valid to partner with CY. Together, we have been able to provide a unique eSIM use case proving that the eSIM ecosystem is suitable and beneficial for a vast range of IoT applications. 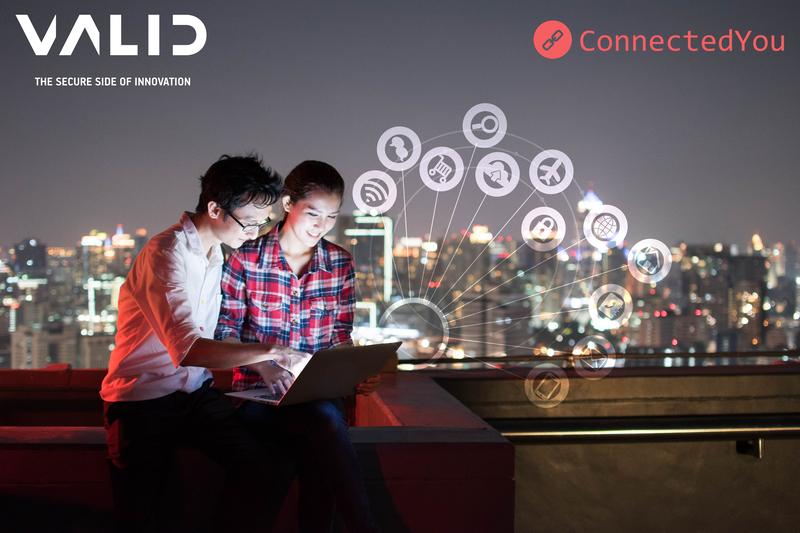 The integration between CY’s IoT Service, Valid’s eSIM technology will enable IoT customers to focus on their core business without worrying about connectivity related issues forever.” said Salvador Cabrera, EVP EMEAA & LATAM of Valid. In the IoT industry, enterprises most often need multiple suppliers for their IoT needs because every supplier is not the best fit for all needs globally, which leads to delayed time to market due to large number of contracts and integrations needed. In addition, as use cases and technology evolve it leaves no option to switch, migrate to a more suited supplier in the future creating a lock-in for the devices in the field. The opportunity to have truly global high quality connectivity with genuine diversity on a single SIM, enabled by the eUICC SIM and the Subscription Management Platform is boosting the usage of cellular connectivity for IoT use cases across all verticals.